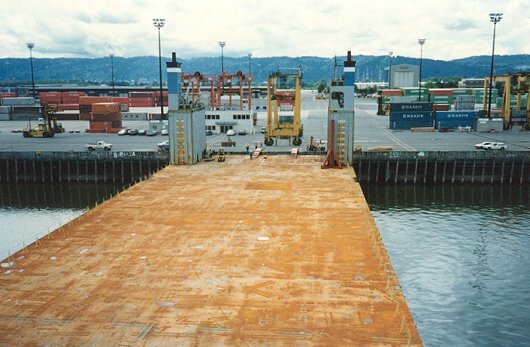 In July 1993, 6 rubber tire transtainers and 2 container cranes were transported from Portland, OR, and Los Angeles/Long Beach, CA, to Nanjing, China. The transtainers (each weighing approx. 100 t) were rolled on over the stern under their own power. 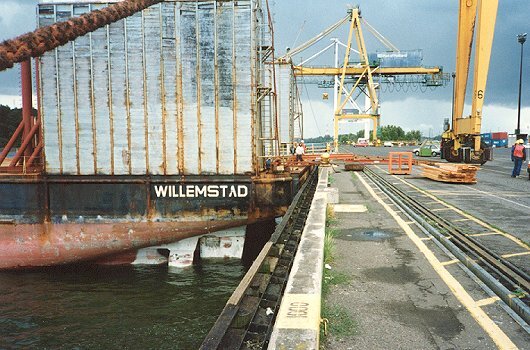 Steel ramps were used to bridge the gap created by the fenders. Because of the high quay at Portland, the vessel stern was trimmed out of the water as much as practical, partly exposing its propellers. The transtainers were secured with pipe bracings at the bottom and chain lashings at the top. 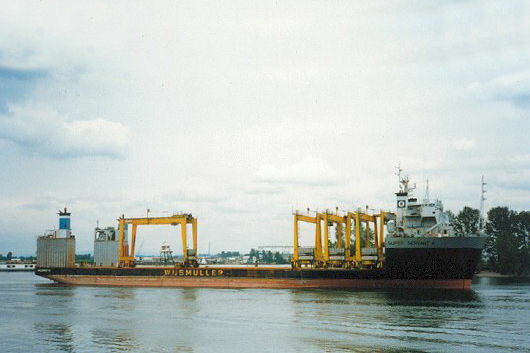 After loading of the transtainers, the SUPER SERVANT 4 sailed to Los Angeles to load the fist of two container cranes. 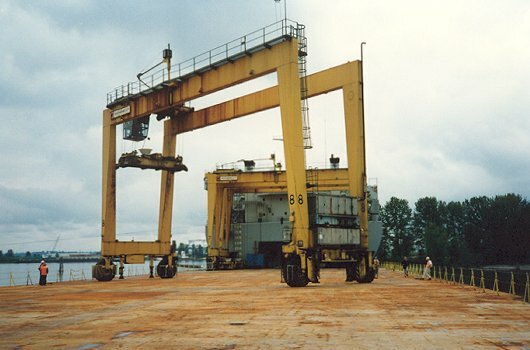 Argonautics Marine Engineering, Inc. was hired to supervise the actual loading operations of the transtainers in Portland and of the container cranes in Los Angeles/Long Beach. 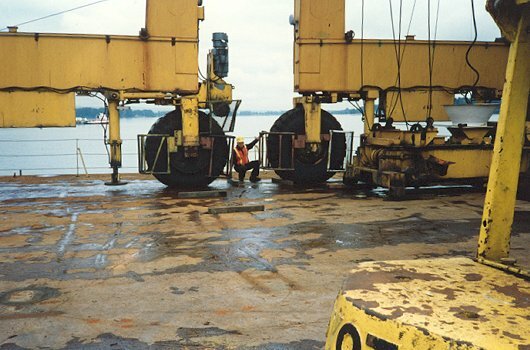 Upon arrival of the ship in China, Argonautics Marine Engineering, Inc. also supervised the offloading of all equipment. Supervision of the loading of the container cranes in Los Angeles/Long Beach, CA.